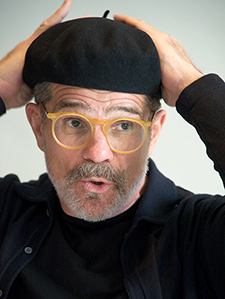 It is nearly impossible for me to measure the influence that the work of David Mamet – one of America’s greatest writers – has had on my thinking, my ideas, and, I hope, my writing. Needless to say, I was thrilled and honored to spend 90 minutes with the literary genius and giant on the phone. The Federalist has published the result of that conversation – an essay that ranks among my best work, and one that I am very proud to have written. The essay, because of Mamet’s brilliance and wit, contains so many gems of insight that it really becomes required reading. I am particularly happy with the essay, because it truly gets to the essence of Mamet’s philosophy and personality. We spend time discussing his greatest work – Glengarry Glen Ross, American Buffalo, Edmond, The Verdict – along with his newest book, Three War Stories. We also spend time on his political conversion from liberalism to libertarianism, which is similar and influential on my own same ideological travel route, and on his early life on the streets and in the theaters of Chicago. It is my hope that the large swath of people who will continually find Mamet’s work worthy of study will use my interview and profile as a source of knowledge for many years. This entry was posted in Books, David Masciotra, Literature, Politics, Television and tagged David Mamet, David Masciotra, Literature, Politics by davidmasciotra. Bookmark the permalink.